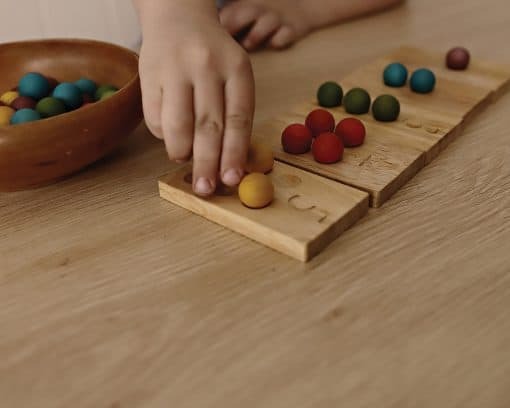 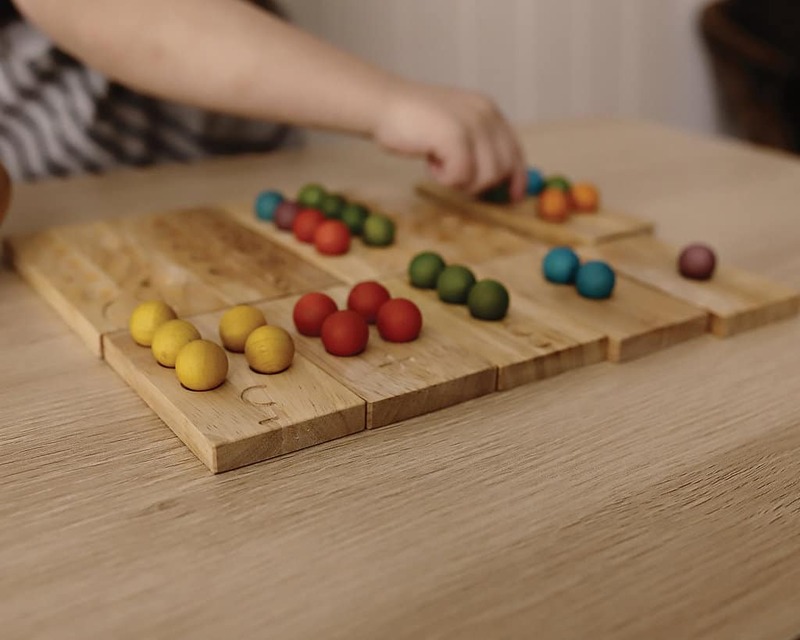 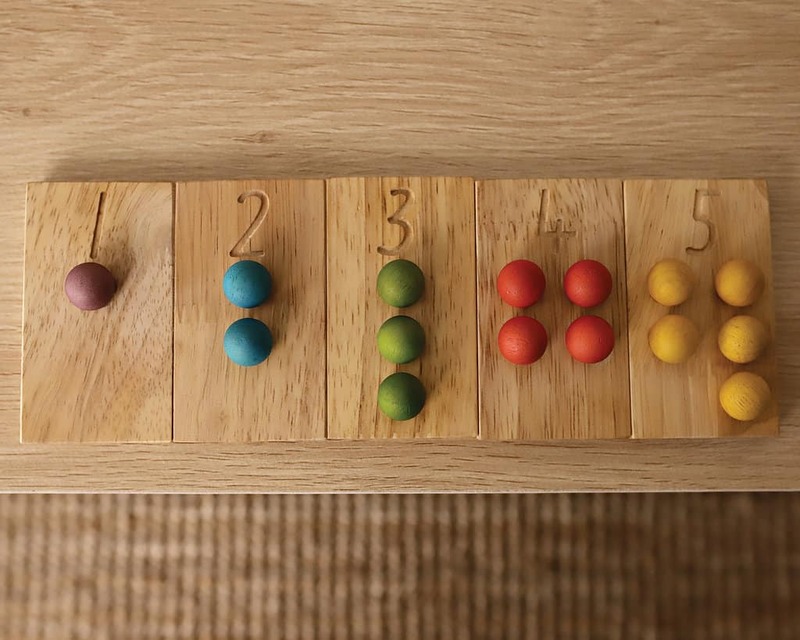 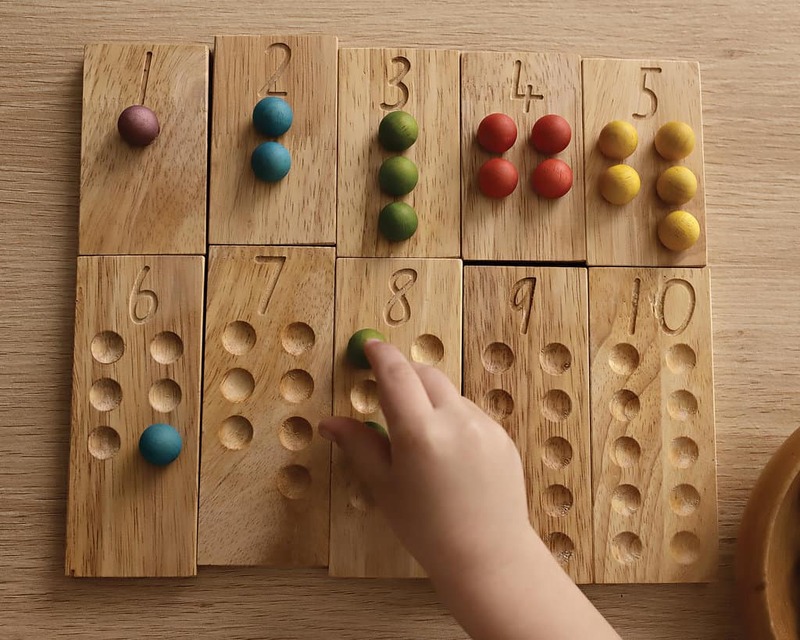 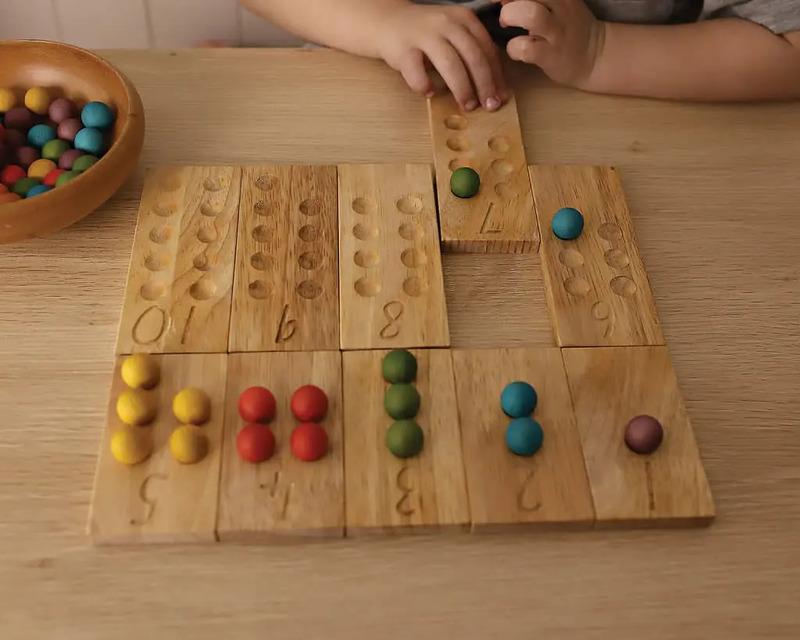 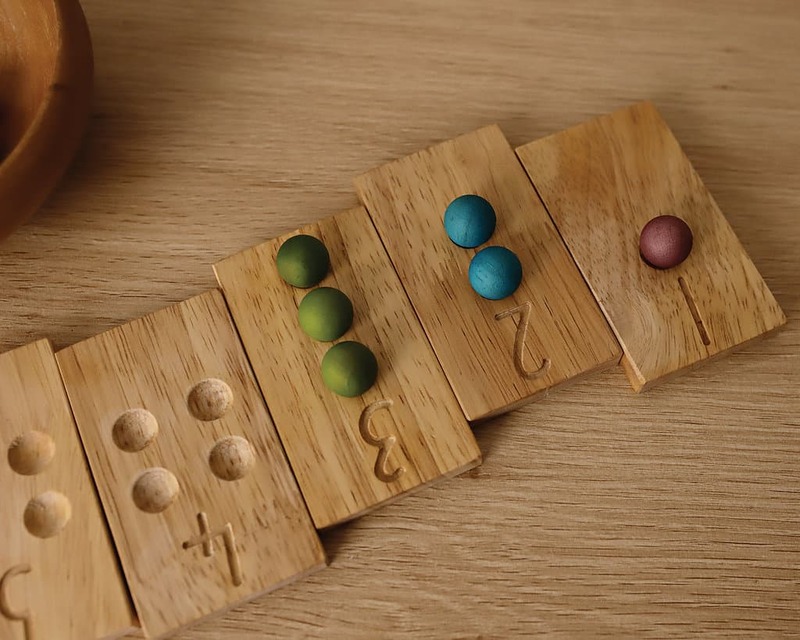 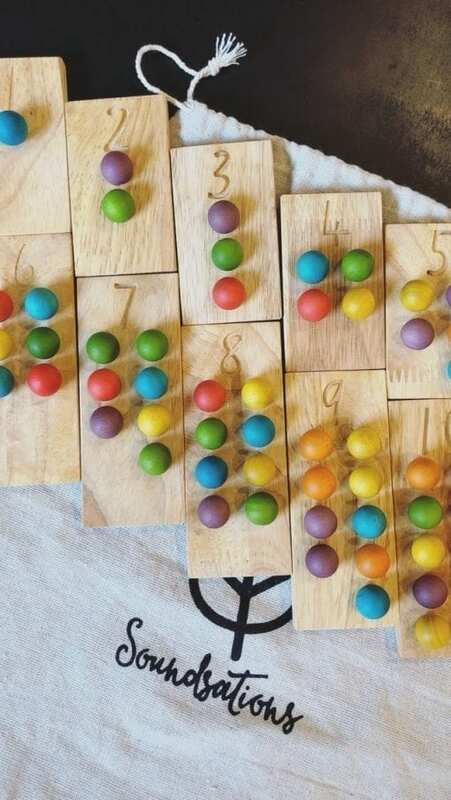 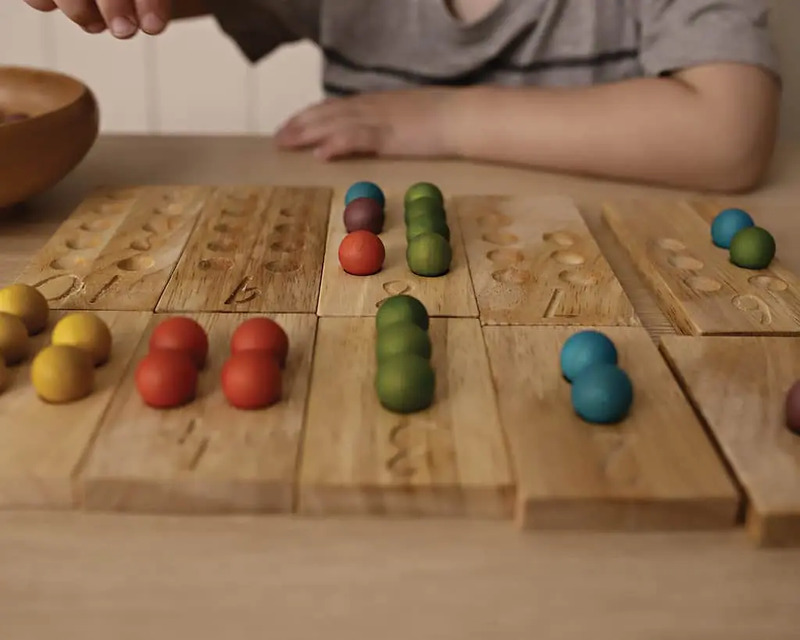 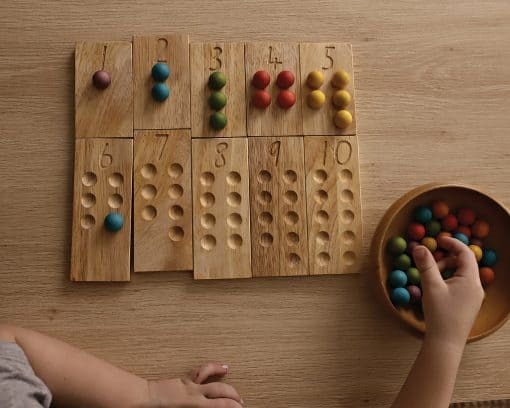 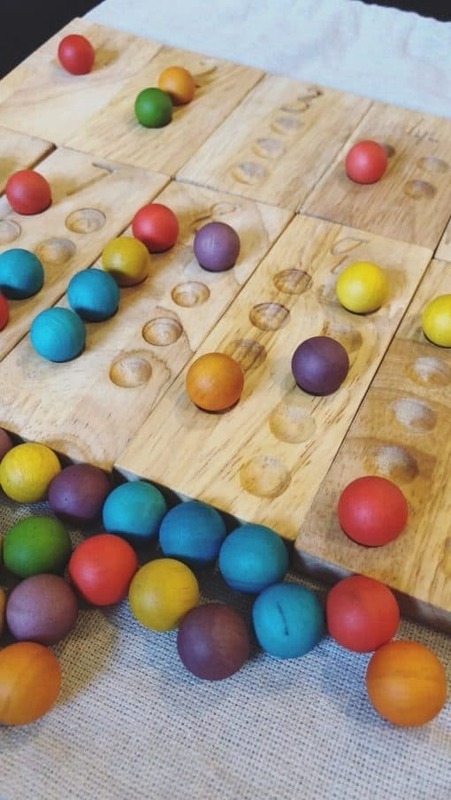 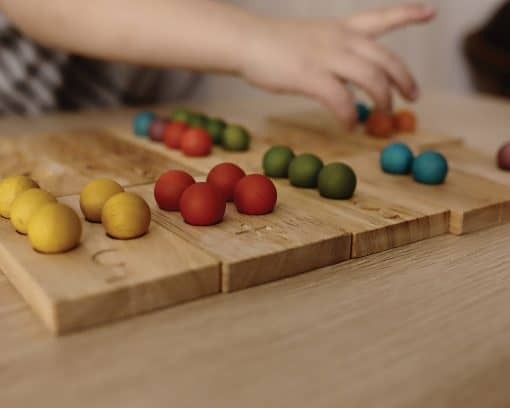 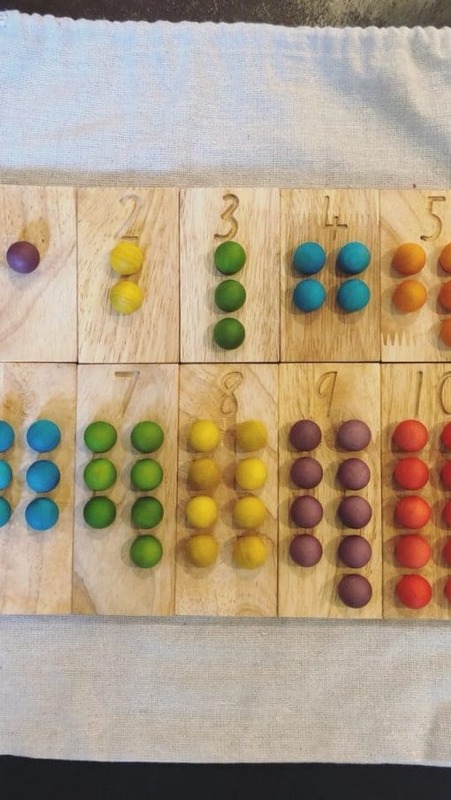 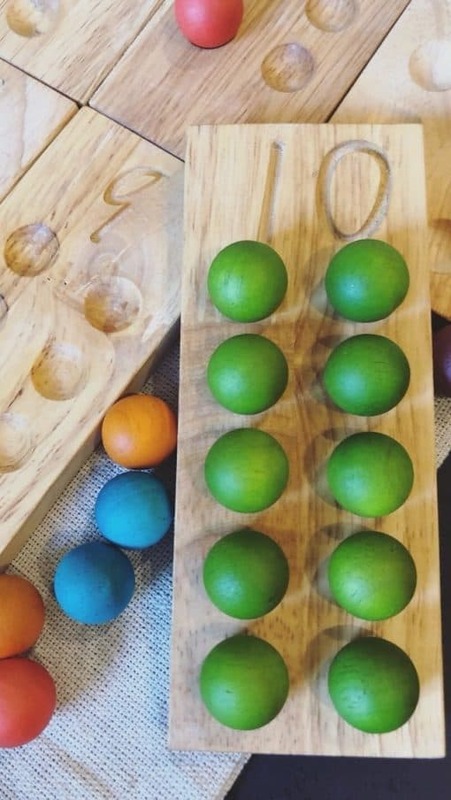 An educational staple, this counting set supplied with small wooden balls is a terrific tool for children to learn simple mathematics. 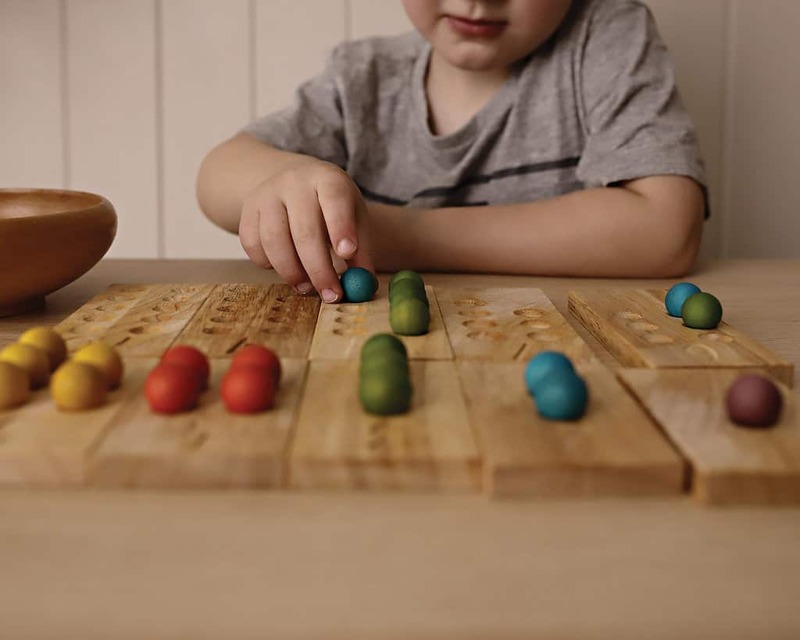 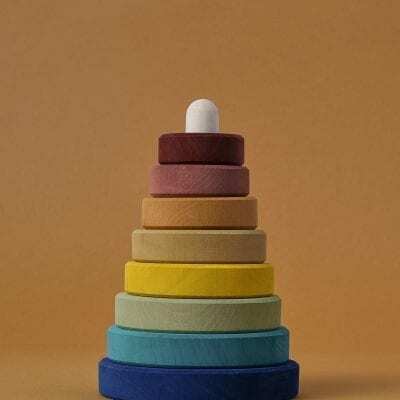 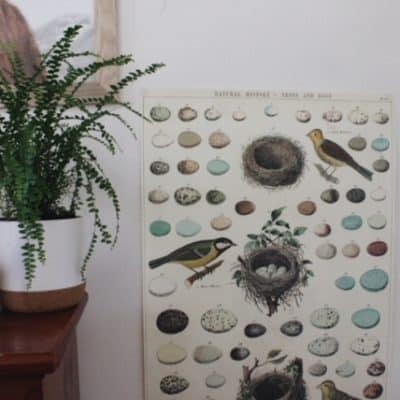 Made with ethically sourced materials under a fair trade scheme. 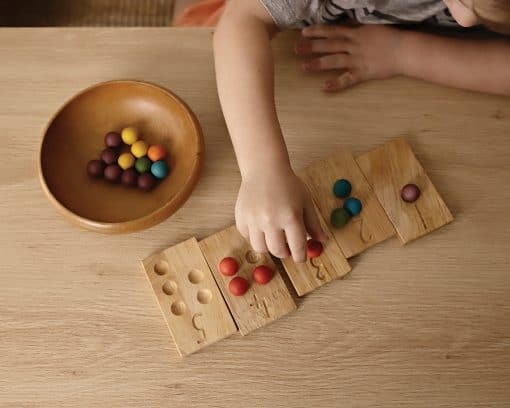 Children explore their senses through tactile play as they learn to count and one-to-one correspondence. 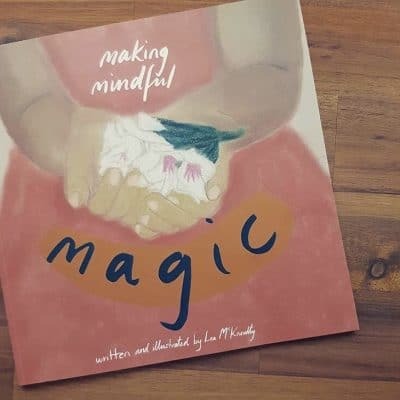 Beautifully made and a hit with my two young ones.